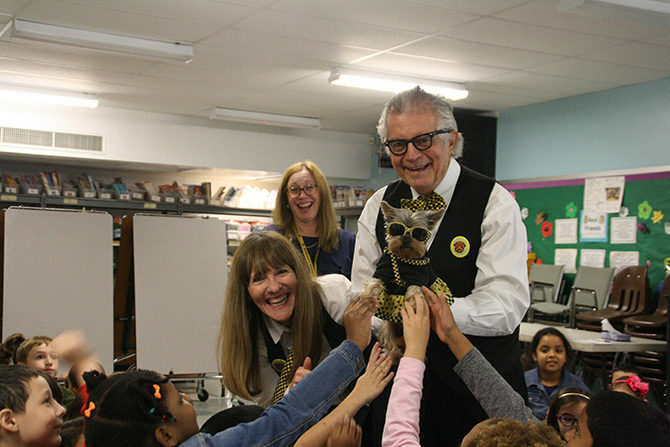 Bringing Science Fun to Kids Across the Country..
Musical Meteorologist Ron, High-Octane Author Elly, and STEM Star Schmitty The Weather Dog have appeared in more than 200 schools and theaters bringing science fun to kids across the country. 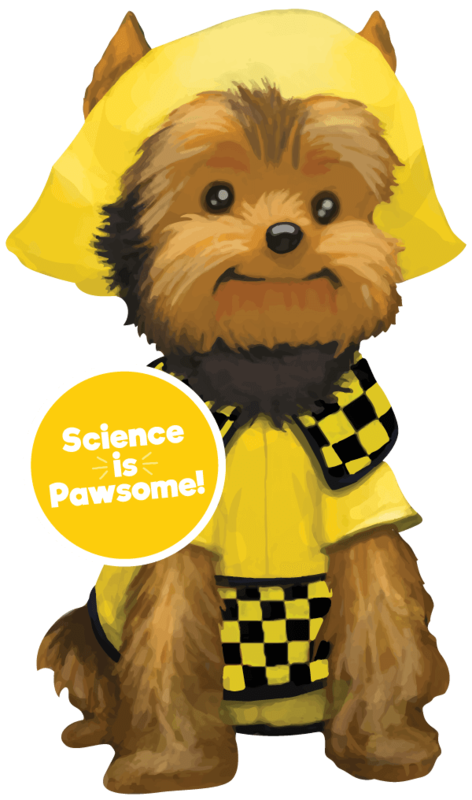 Thru story-telling, music and a really cute dog, Team Schmitty The Weather Dog inspire kids to get excited about science, weather and taking care of the planet. Who knew learning could be so much fun! 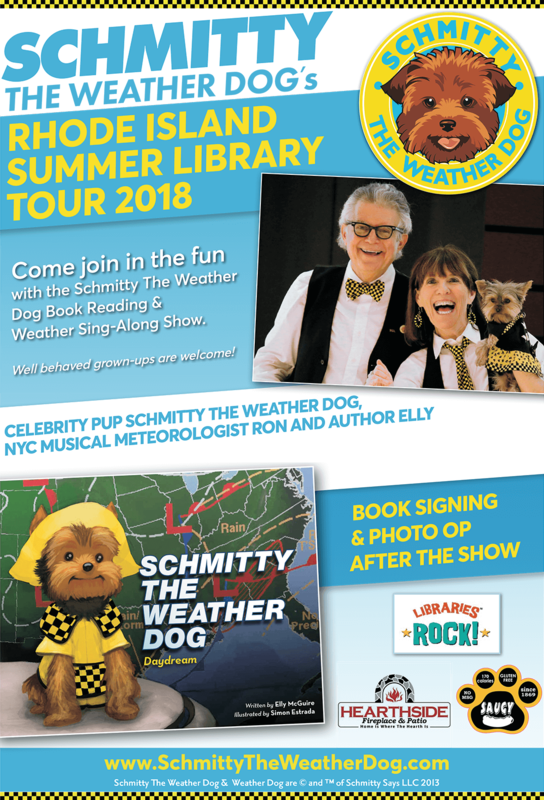 Schmitty The Weather Dog Book Reading & Weather Sing-Along Show - - coming to a library near you! Featured in the Narragansett Times! 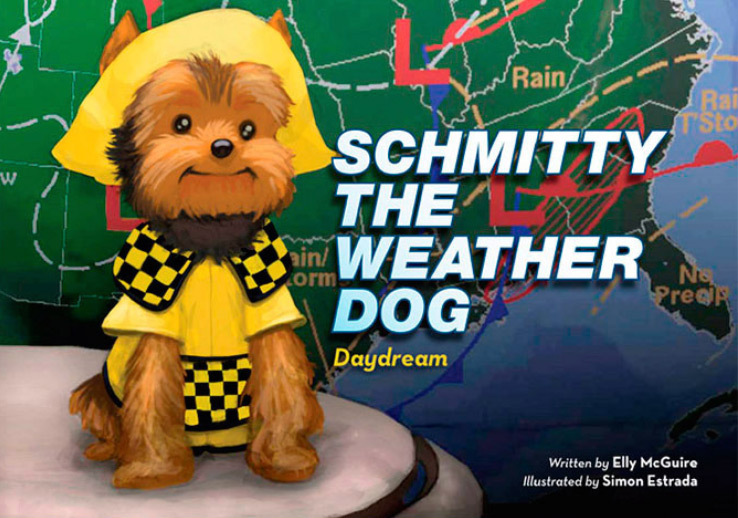 Looking to book Team Schmitty The Weather Dog? I can't say enough. Have you had the trio in your building before? 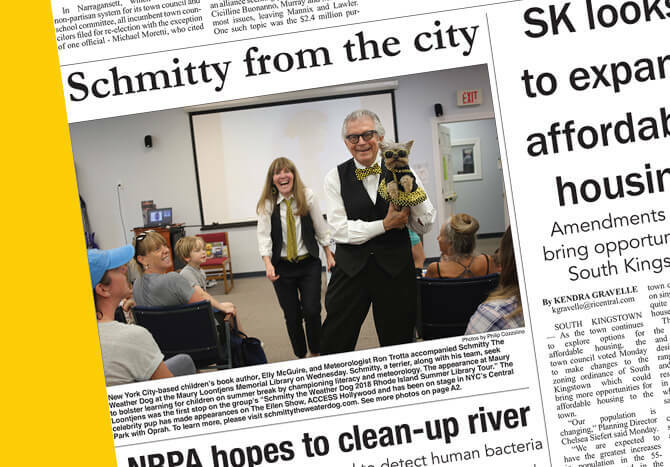 Determined to help her struggling two legged dad become a TV weatherman, Schmitty jumps into action despite her tiny size and friends who make fun of her. 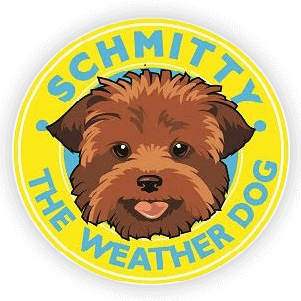 (917) 855-6324 | info@schmittytheweatherdog.com Schmitty The Weather Dog, Weather Dog, and Schmitty are trademarks & copyrights of Schmitty Says LLC 2013 New Yorkie ® & New Yorkie Greetings ® Schmitty Says LLC 2003.